The friendly and knowledgeable full-service catering staff at Village Restaurant Catering understands the importance of your social event and believes that every detail should be attended to with the utmost attention. Our event caterers strive to exceed your hopes and expectations by providing you with complete relaxation for your important event. Whether it’s an upcoming gala, fundraiser, mitzvah or family gathering, we will simplify your planning process by assisting you with everything, from the delicious cuisine to exceptional décor choices. 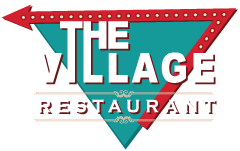 Whether you’re planning an employee picnic, a client open house or holiday soiree for your business, make the event for your company a success by putting your trust into the corporate caterers at The Village Restaurant Catering. Our knowledgeable and friendly staff is here to make sure you look good and will suggest everything from suitable venues to appropriate menus to assure that your company’s special event is an absolute success. As a family-owned and operated business in the Salinas area, The Village Restaurant Catering understands the importance of family and strives to make your wedding memorable for decades to come. Relax on your big day and let us provide you with a day that will be as memorable and magical as you have always dreamed. Catering weddings is our specialty and by planning every detail ahead of time, you are able to enjoy your wedding day and dance into the evening with your guests with no worries. Give us a call or complete our catering consultation form as soon as you have a date in mind and we’ll do our utmost to make your special day a resounding success! Call to 831.444.6724 or contact us to get things going on your next celebration!